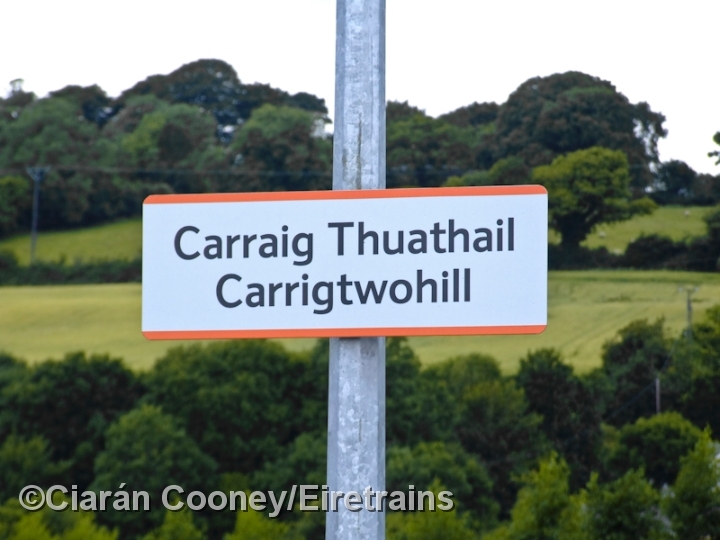 The village of Carrigtwohill, Co.Cork, was first served by rail when the Cork & Youghal Railway opened their line between Cork City and Midleton in 1859, latterly taken over by the Great Southern & Western in 1866. 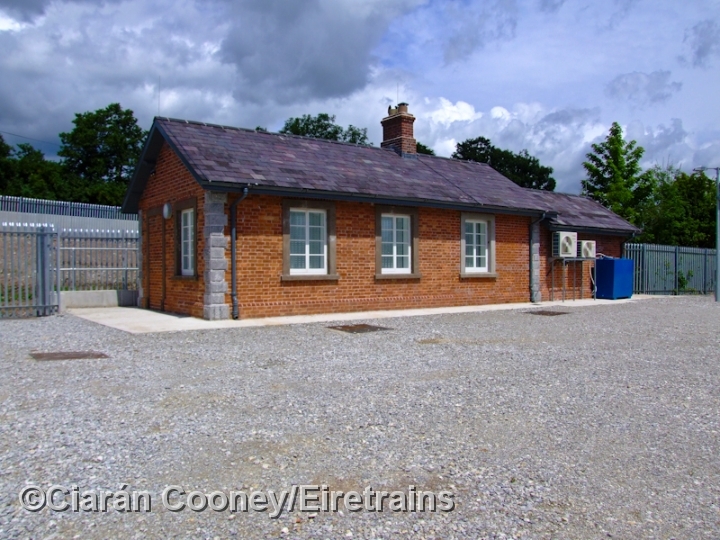 The single platform station had a single storey brick built station building, located on the up side of the line, while on the down side was a goods loading bank and corrugated iron shed, served by a loop. 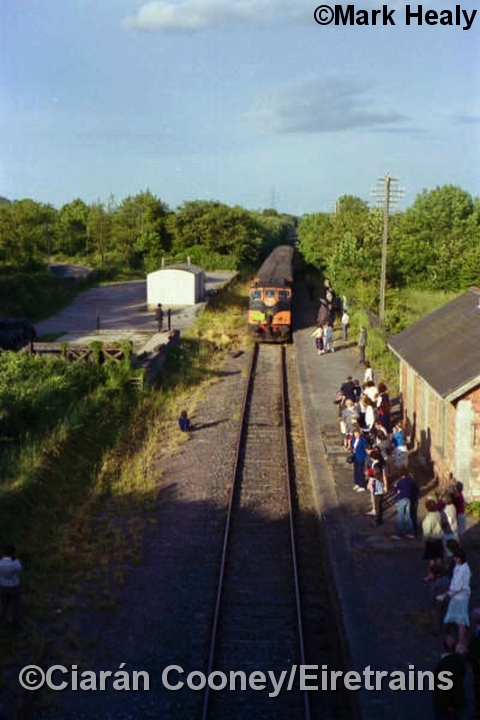 Regular passenger services over the Cobh Junction to Youghal line ceased in 1963, but remained in use of occasional Sunday excursions until the late 1970s. 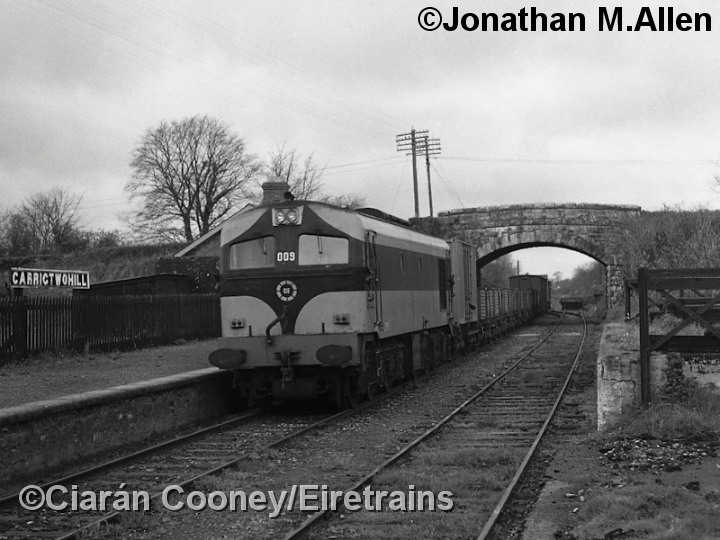 By the early 1980s goods services had ceased completely, after which only infrequent passenger specials ran to Youghal, the last been to Midleton in 1988. 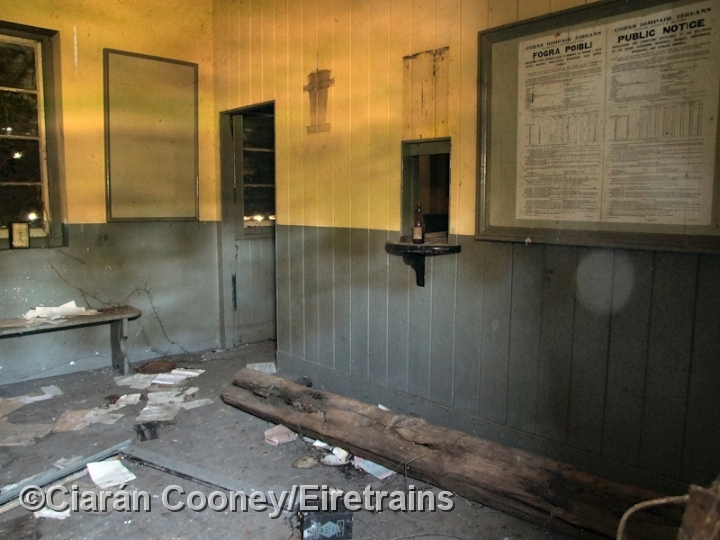 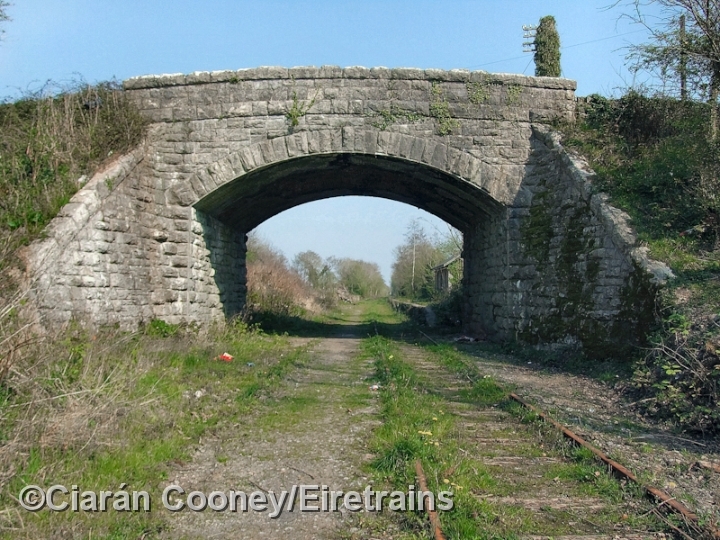 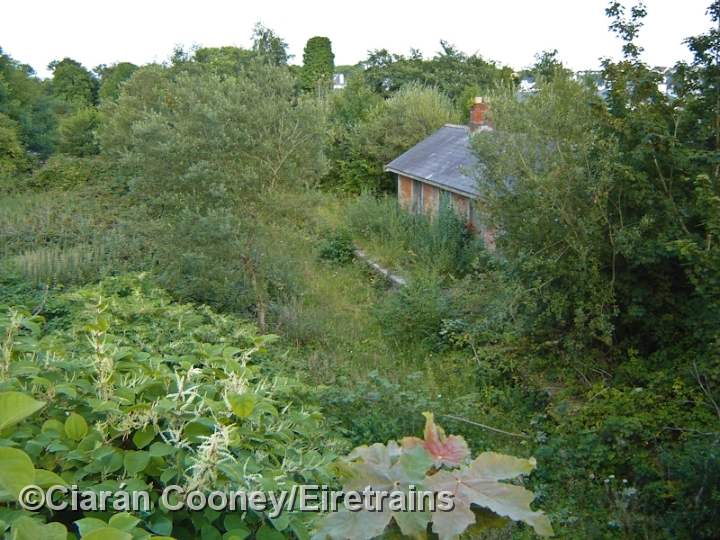 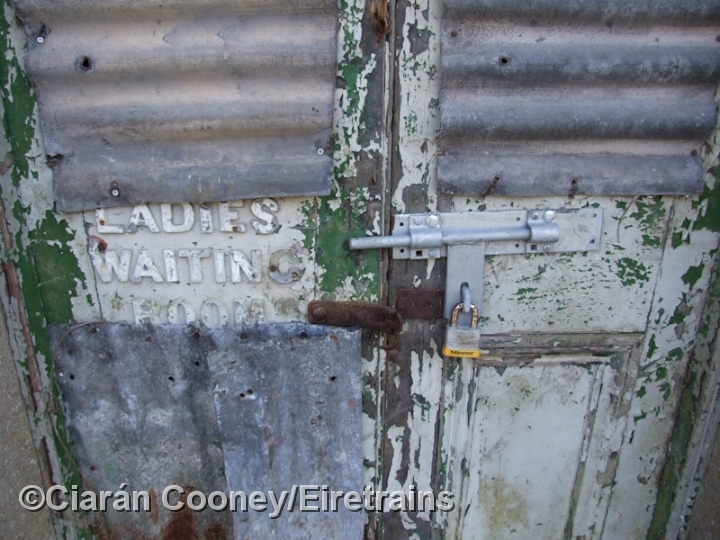 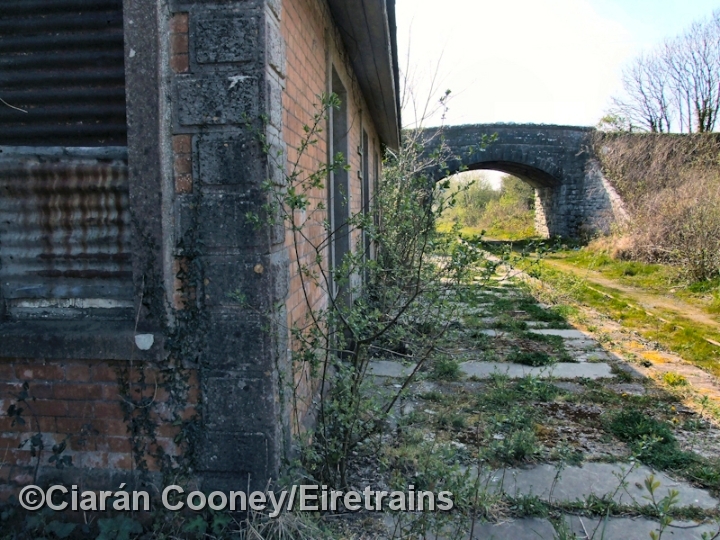 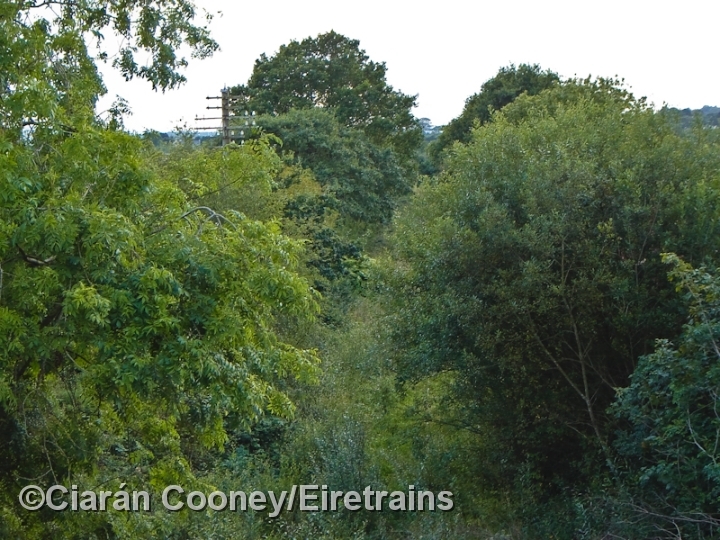 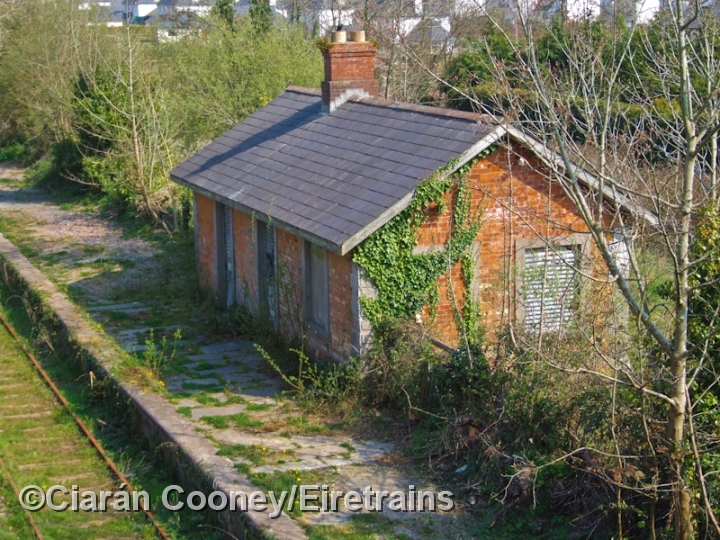 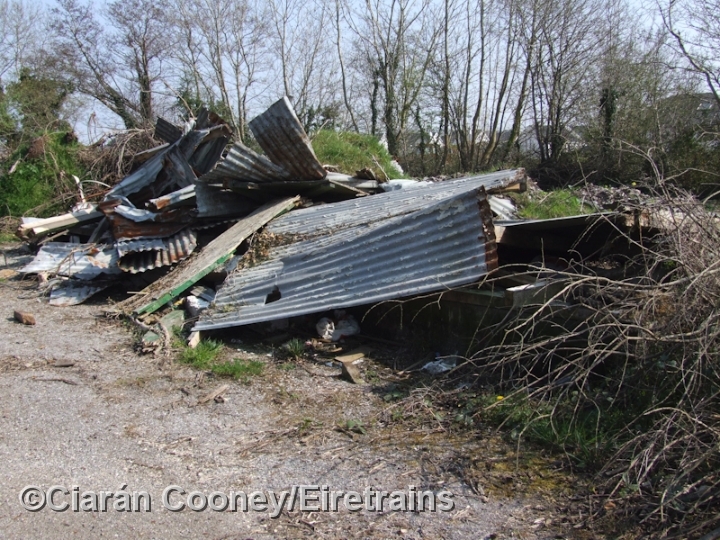 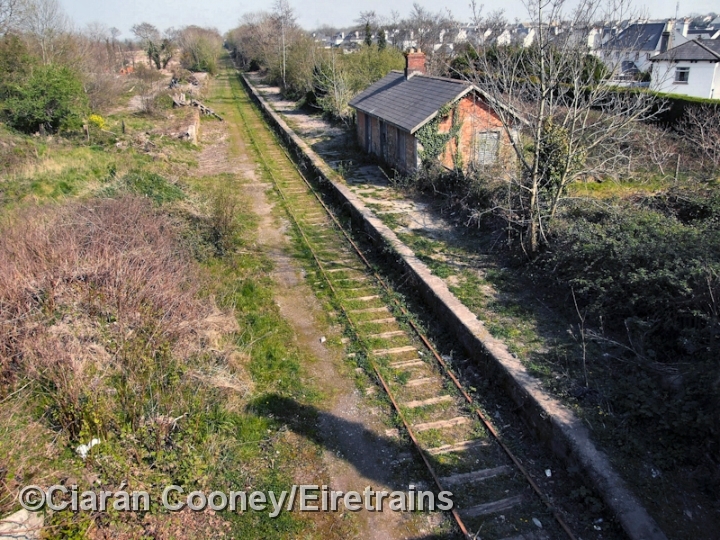 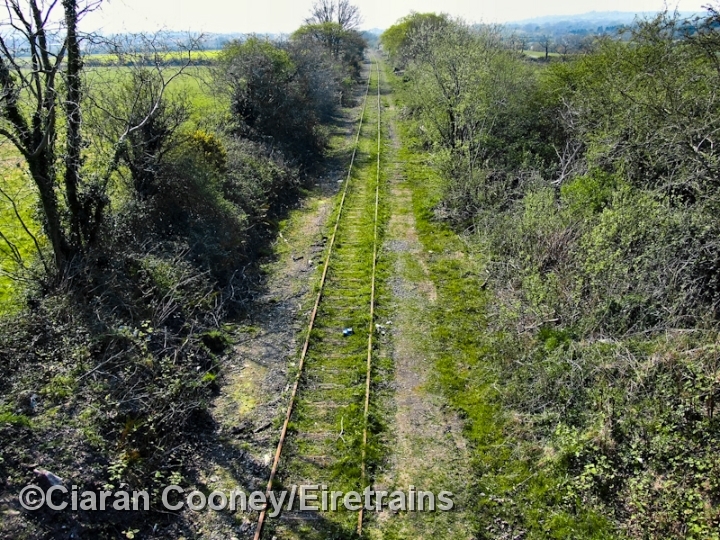 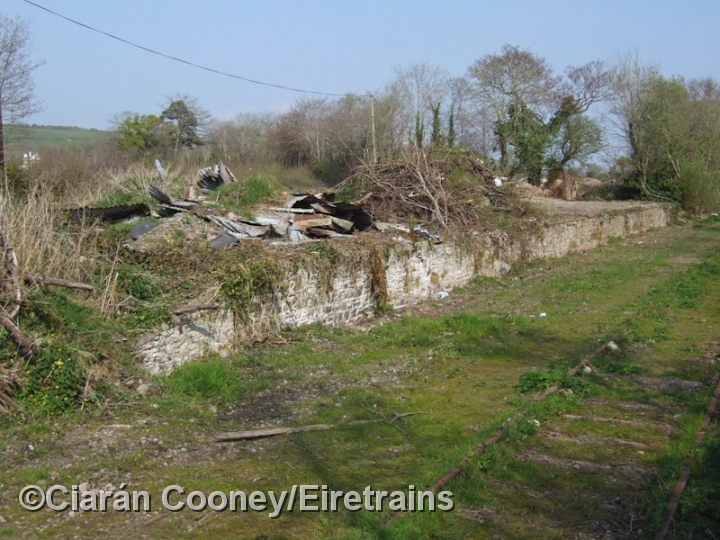 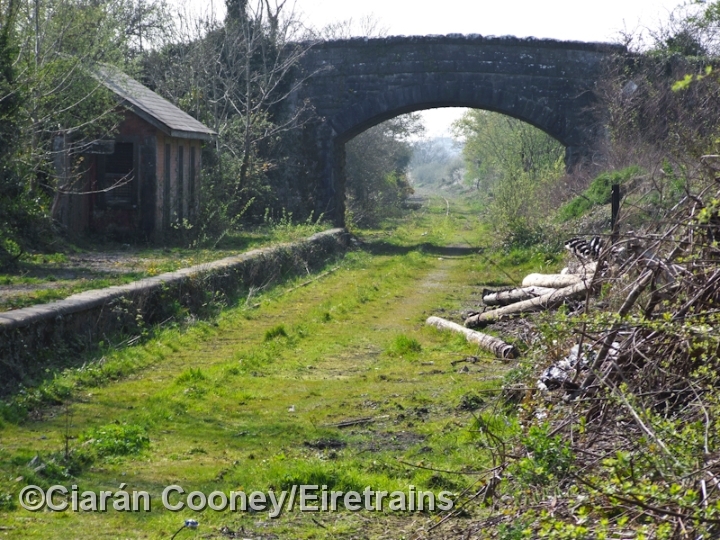 The Youghal line lay derelict for 21 years until 2009, when the line reopened as far as Midleton. 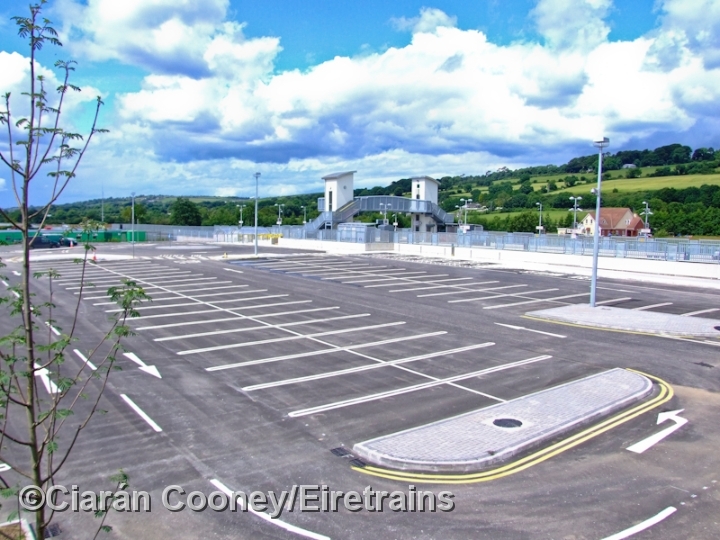 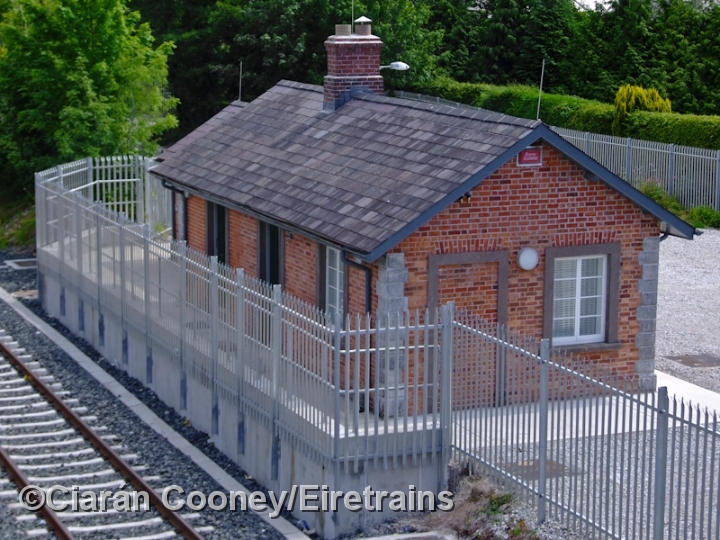 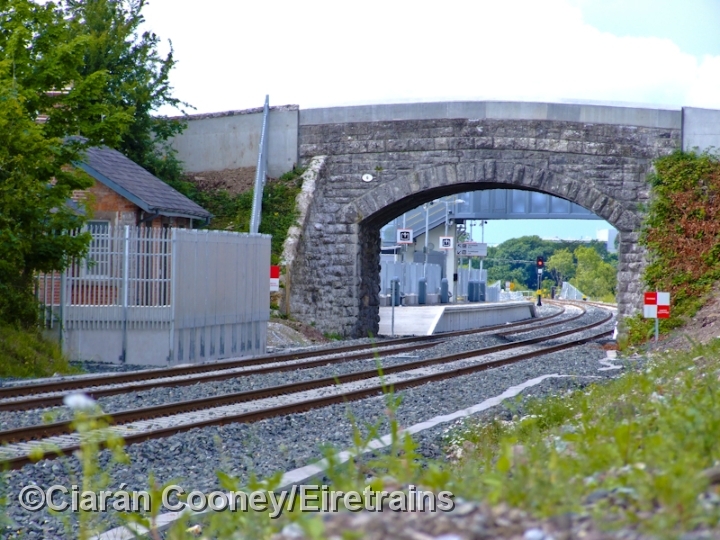 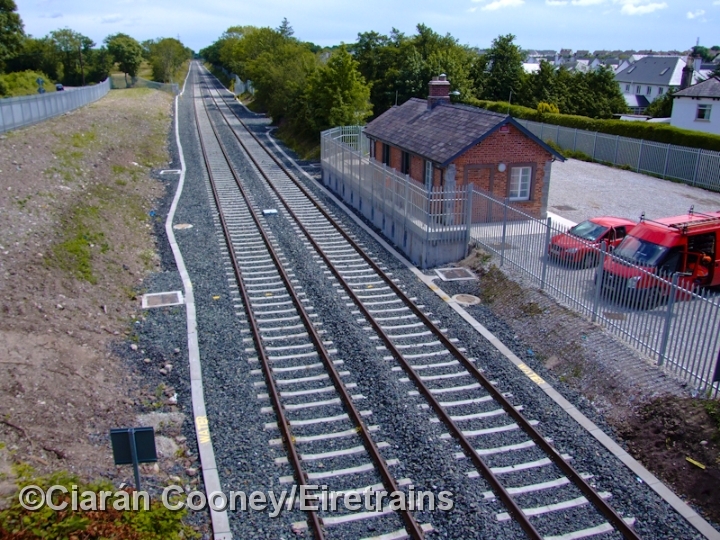 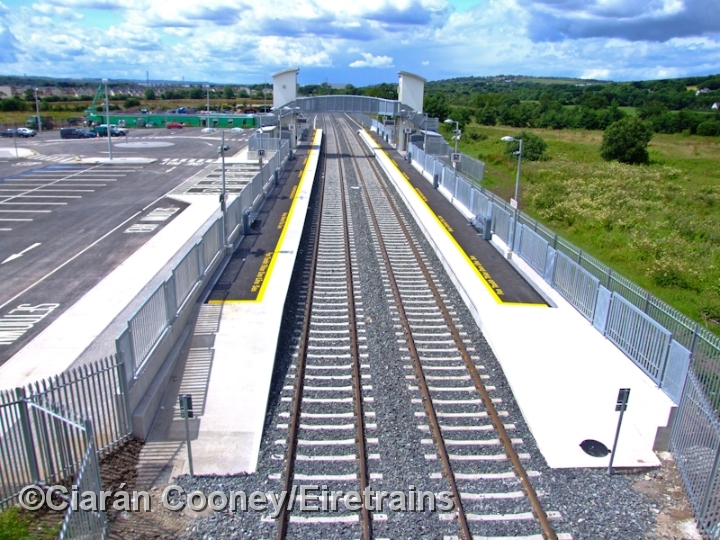 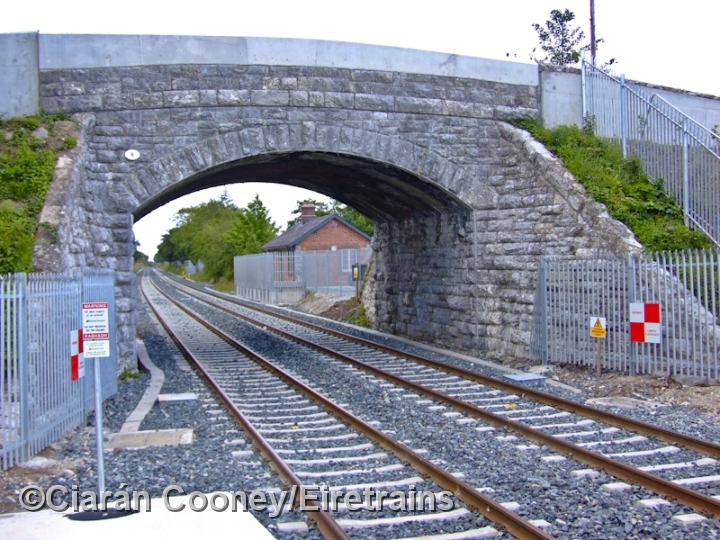 A new station at Carrigtwohill, which consists of up & down platforms serving a section of double line, was constructed on the western side of the road overbridge at the station. 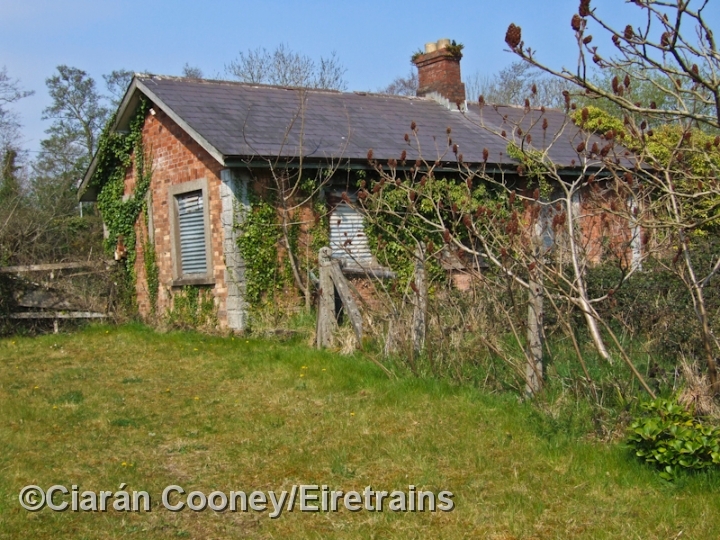 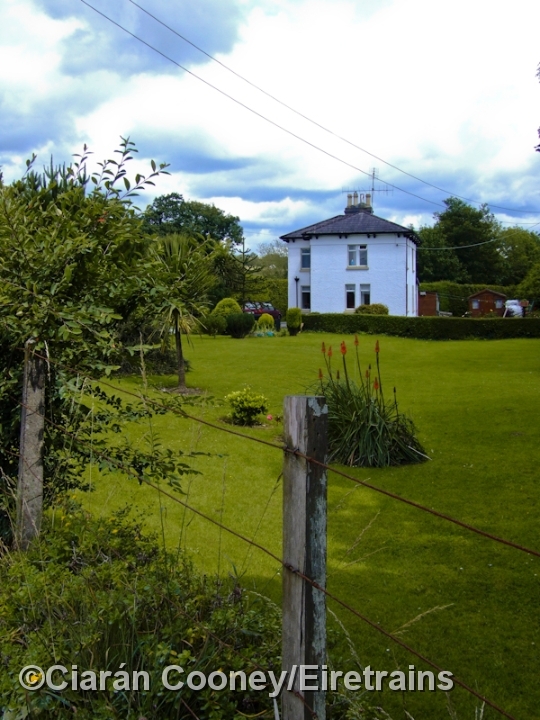 The original C&YR station building survives as a signal relay room, adjacent to the former station masters house. 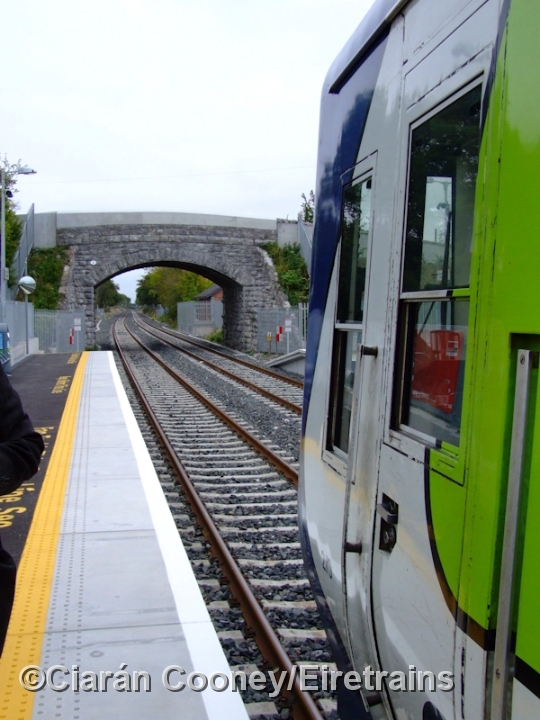 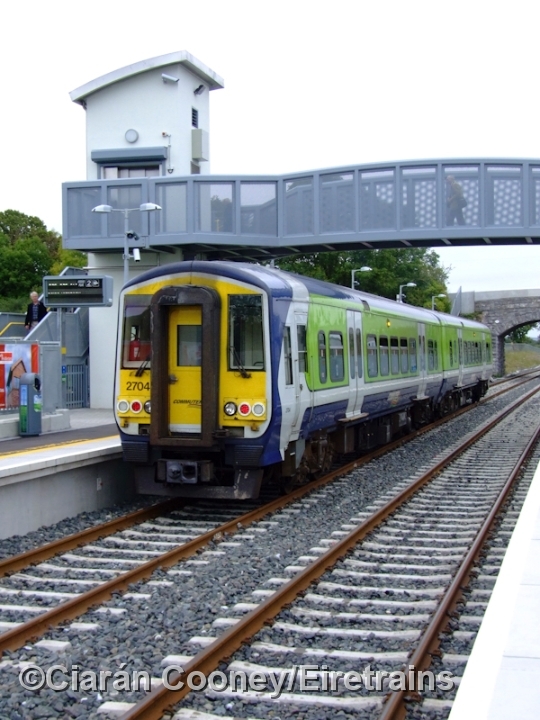 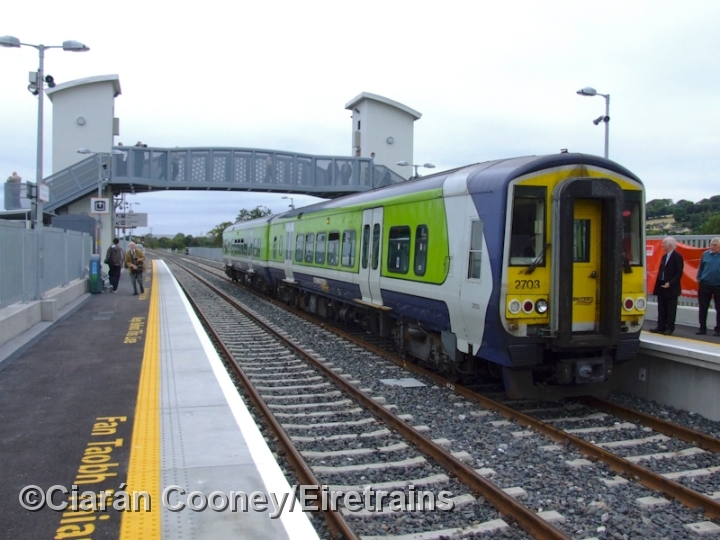 Carrigtwohill is now served by regular commuter trains running to and from Cork City.